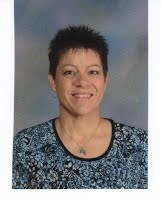 My name is Mrs. Jeanette Pine and I am the Media Specialist at BC Grammar School. This is my third year as Media Specialist in the Lexington Two School District. Previously, I was a library paraprofessional at an elementary school in Kansas. Prior to that I taught Spanish and business at the high school level for 26 years in Kansas, Missouri, Colorado, Tennessee, and Kentucky! I received my undergraduate degree from Kansas State University and my masters in library science from the University of Southern Mississippi. My husband, Scott, and our two greyhounds, Mike & Billie, live in Lexington. I look forward to working with your child in the Media Center!